Seasonal Sweetheart: A pantry soup recipe! Gourmet dishes for every season. Need a fantastic recipe for a quick and an easy soup? Well this is it! It can be made with pantry staples, which makes it even more appealing. It only gets better the next day as most soups do. This is a recipe vegetarians and carnivores alike will love. My husband who is a meat and potatoes kind of guy, loves this soup. It can be made in 30 minutes or less. Make this soup next time there is a chill in the air or want something quick on the table! Heat oil in a soup pot over medium heat. Add sliced leeks and saute until soft. 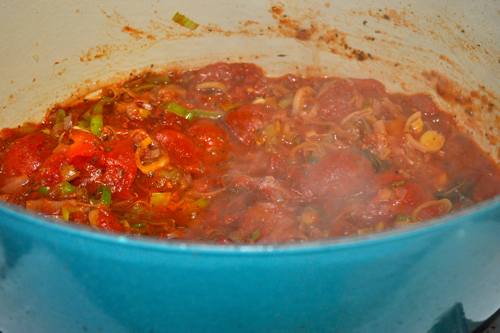 Add tomatoes and using a wooden spoon break into bite size pieces. Then add basil, thyme, and vegetable stock. Bring to a boil and then simmer for 5 minutes. Then add chickpeas and tortellini. 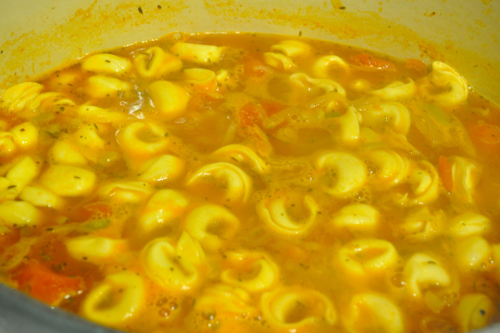 Cook tortellini in broth according to package. 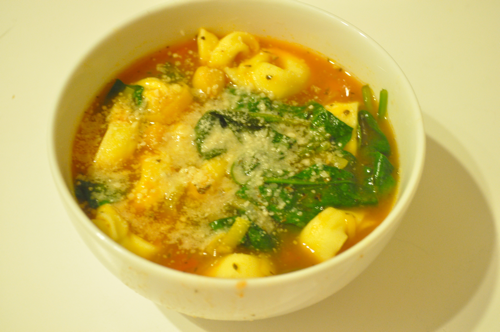 When tortellini is done, stir in spinach until wilted. Season with salt and pepper to taste. You can garnish with parmesan and basil if desired. Enjoy this quick and wonderful soup. A starchy side fit for Thanksgiving! Simple theme. Theme images by andynwt. Powered by Blogger.